The almost intractable edition, completely illustrated in color on 126 pages – with a broad overview of the LINEOL collection – was mastered with flying colors by both authors. 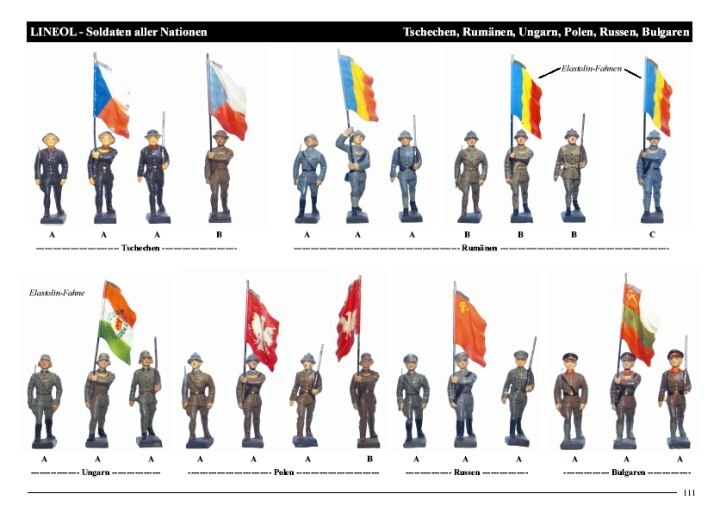 The main focus was set on the 7.5 cm figures. The book allows the layperson quick entry into the matter and offers the experienced collector a large amount of information in print and picture. In such, many seldom figures, vehicles and accessories are illustrated in color for the first time. A price category, which quotes the current market prices in a from/to price range, helps new and experienced collectors to orientate oneself through the enormous count of over 11,000 different Lineol figures. 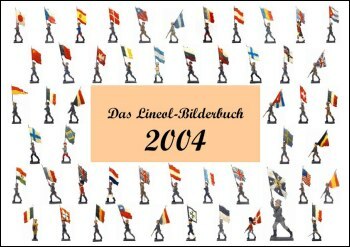 This book will therefore rank as an indispensable work of reference for collectors of military and political figures from the Lineol Company, and will also be essential for dealers and auctioneers. DIN A4 format, landscape, hardcover. German Language.